At the beginning of this month, Samsung Galaxy A9 Pro made an official appearance in Malaysia, marking the market as the first the device has been availed since its launch in China. When it was launched, it was thought that the handset will only be sold in China. However, towards the end of last month things changed as the phone made an appearance in the Malaysian market. This is something that quite a good number of people have been expecting to see in their local markets, especially since several leaks have been suggesting that the Galaxy A9 Pro will indeed be availed in other markets outside the region. Despite all the desires, speculations and rumors, it seems Samsung will only be selling this Galaxy A9 Pro phablet in Asia alone. At the time of this writing, several markets in the continent have already been supplied with the phone’s latest firmware, among them Malaysia, Thailand, Vietnam and the Philippines. The fact that Samsung has already availed the firmware for this handset in these markets is an indicator that the Galaxy A9 Pro will indeed hit the said Asian markets. Samsung has yet to make an official statement by adding this handset to the online stores respective to the markets, but the availability of their firmware only but confirms everything we need to know about the release of the Galaxy A9 Pro in Asia. In case you didn’t know, Samsung Galaxy A9 Pro is the largest handset from the Korean company and the most spec-packed when looking at the Galaxy A series. It features a huge 6-inch 1080p Super AMOLED screen while under the hood you get a mid-range Snapdragon 652 SoC. In terms of memory, the Galaxy A9 Pro packs a decent 4GB RAM and an impressive 32GB of expandable onboard storage. The rear panel has a 16MP sensor while the front has an 8MP selfie camera. 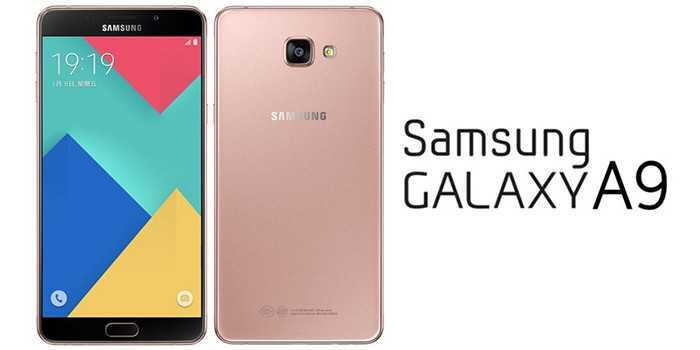 Samsung Galaxy A9 Pro is powered by the latest Android 6.0.1 Marshmallow and the huge display screen is kept alive using a monstrous 5000mAh battery unit. Just like other handsets in the Galaxy A series, the A9 Pro comes with a glass and metal design that gives it a premium look and feel like what you get with the flagship Galaxy S series. Expect the phone to cost between $500 and $600 when it is launched in your local market.